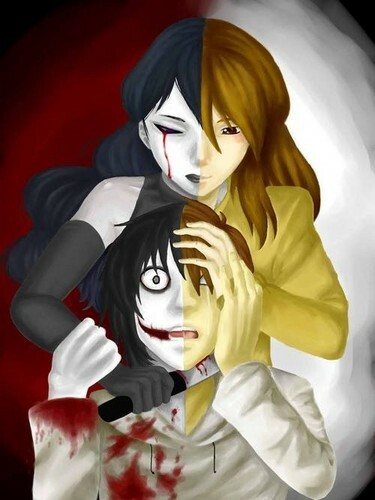 Jeff and Jane the Killer. . Wallpaper and background images in the creepypasta club tagged: photo creepypasta jeff jane. OMG! Who is Jane? Are she Jeff Gf? Why Jane kill Jeff? They two are killer! Lmao!